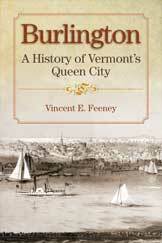 This book--the city's first comprehensive history--explains how Burlington became the Green Mountain State's most dynamic and largest city, home of its state university and a thriving commercial and retail center that draws national media attention. It tells the story of the birth of the small settlement nestled between river and lake, staked out by Ira Allen and some adventurous Green Mountain Boys; the economic visionaries that nurtured the town and steered its growth; the surprising influx of ethnic groups that powered the scruffy, brawling, cosmopolitan young city on the lake; and the political battles and shifts that heralded a changing culture. Vincent E. Feeney received a BA from San Jose State University, MA from the University of Vermont, and PhD from the University of Washington, all in History. He was Adjunct Professor of History at the University of Vermont 1977-2006. Since 2003 he has been a Lecturer for the Vermont Humanities Council. 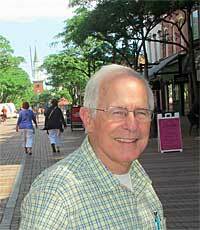 Feeney is also the author of Vermont: An Illustrated History with John Duffy (American Heritage Press, 2000) and The Great Falls on Onion River: A History of Winooski, Vermont (Winooski Historical Society, 2002). He is a member of the Vermont Historical Society, Center for Research on Vermont, Chittenden County Historical Society (President 1999-2003), and the Winooski Historical Society. He lives with his wife in Montpelier, Vermont.